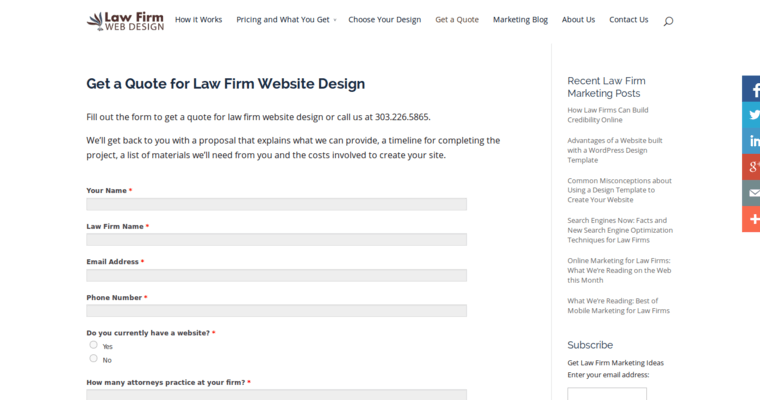 Law Firm Web Design does exactly what the name says. 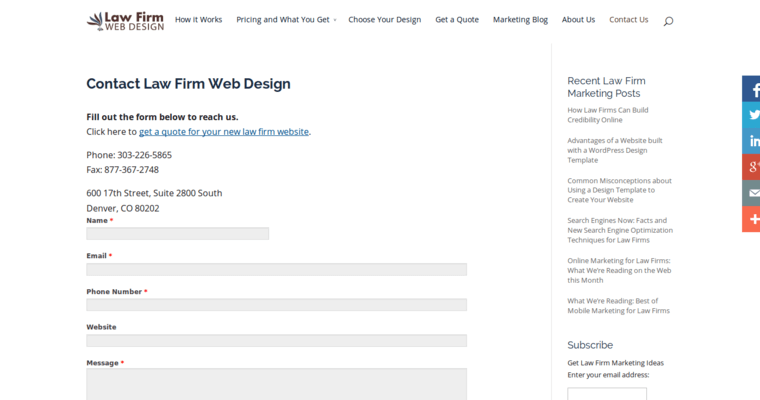 This firm works with law firms of all sizes to create websites that will definitely bring in clients. They use a WordPress content management system for their websites, and they will teach their clients how to use the system as well, so that they will be able to update their websites anytime they want. 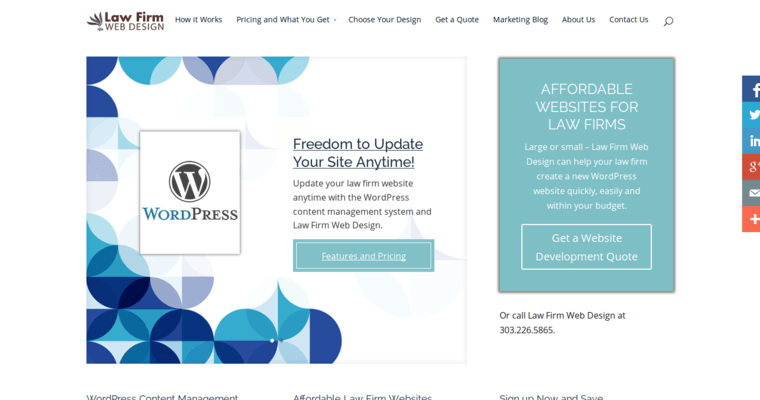 Clients will have the option to choose one of the firm's pre-existing WordPress designs that are made specifically for law firms, and then the firm will customize the entire website, incorporating the chosen design, along with the client's logo, information, and more, all with the colors and fonts that the client chooses. They will also use SEO techniques to make sure that traffic is driven to the website of their clients. Additionally, the service is very reasonably priced and well worth everything that is being offered.